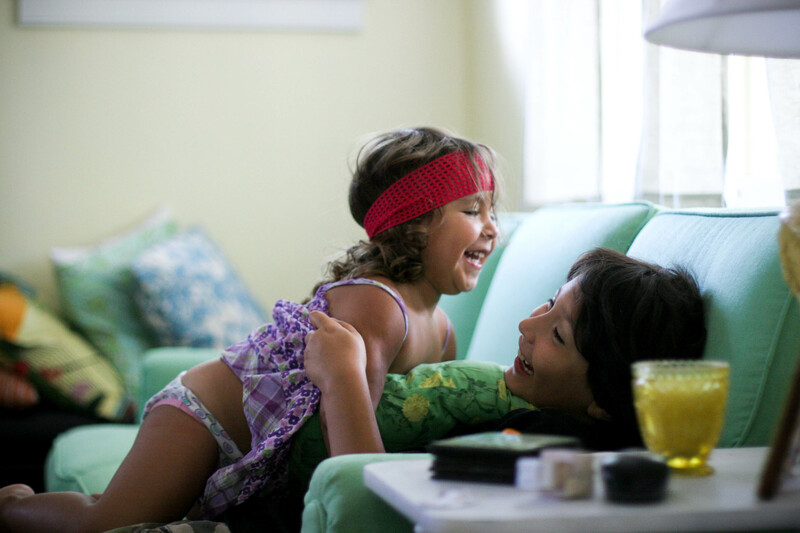 we should all do some more couch diving…with brightly colored head bands on. Your children are so wonderful. A true reflection of their parents. thanks Dottie! and so is that lovely daughter of yours!! So sweet. Those are my favorite kind of moments. The simple, everyday, happy grinning moments! I have been wanting to ask you for some time – what kind of camera do you use? I am trying to improve my photography skills. I have an old camera and have been unimpressed with my picture quality. Your pictures have such a nice soft look to them and great light. An advice on how to achieve that look? hey erin! thanks for the kind words….i actually use an old hand-me-down Canon 20D, nothing fancy (semi-pro, not a full frame) but came from a photographer that loved her… 🙂 i almost always use a 50mm 1.4 lens which thankfully lets in lots of light with its wide aperture. i hardly ever take it off…to be totally honest, i kind of fell into my “style”, which tends to be a little darker and grainy from not really knowing what i was doing and constantly working under less than stellar lighting conditions. since then, i decided i really prefer this look…i also process almost all of my pictures in Lightroom 2, a little tweak here, a brightening there…i would guess almost everything you see on the web these days has been processed in some way. your camera and playing, practicing, taking pictures of the things/people you love most…your style/vision will unfold, and it will be beautiful because it is the way you see and love the world. That is helpful – thanks! I have a minolta 3xi SRL. I have been thinking about taking a class at the visual arts center. Just not sure if I should put my money into a class or a camera. I do love photography! Thanks for inspiring me! you know it was a thrift store find…in perfect shape! i fell in love with the color the minute i saw it- i think it may have been an old lady couch, it just sort of feels like one…which makes me even more happy!